Sample the 'Fuel Your Preparation' range of breakfast and dessert emergency food packs in these convenient, single serve pouches. 2 great tasting breakfast options and 3 delicious dessert options - the best way to extend your emergency food storage. 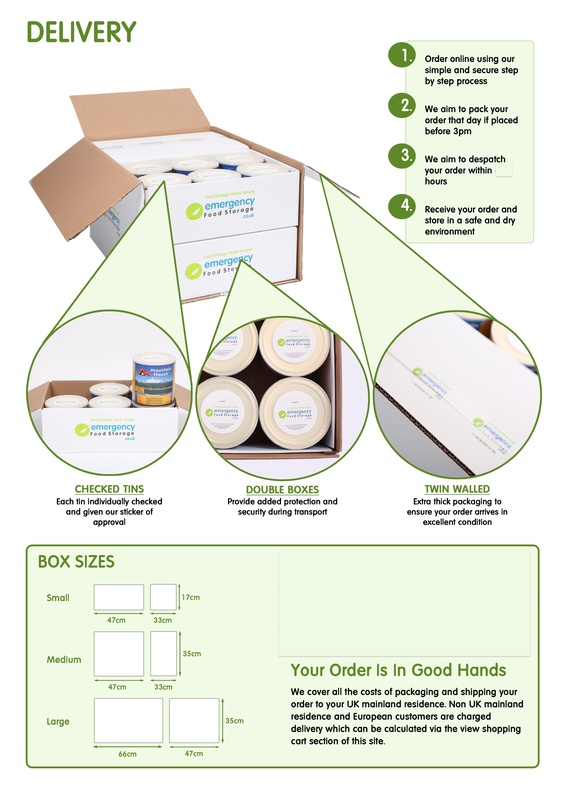 *Click the button above to add Breakfast and Dessert Emergency Food Sample Pack to your wishlist. 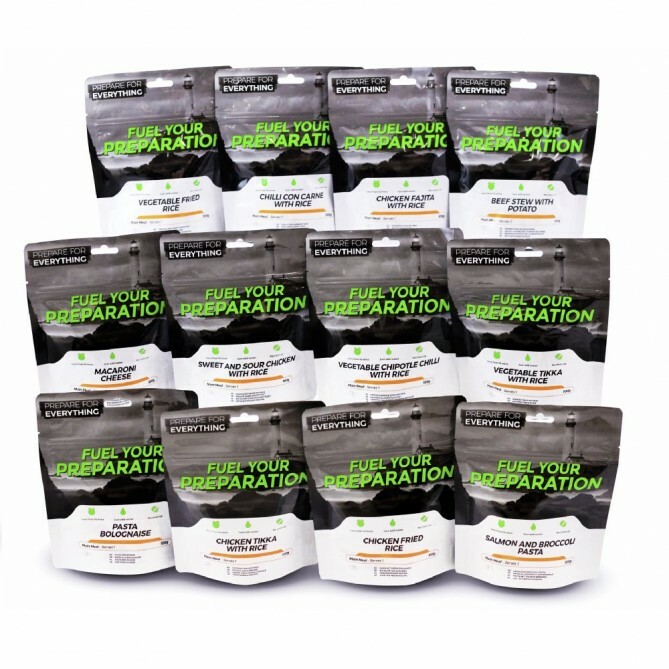 10 packets of the 'Fuel Your Preparation' freeze dried food breakfast and dessert range. 2 breakfast options. 3 dessert options. 10 servings in total. Nothing beats taking something for a test drive. Sample the 'Fuel Your Preparation' range of breakfast and dessert emergency food packs in these convenient, single serve pouches. 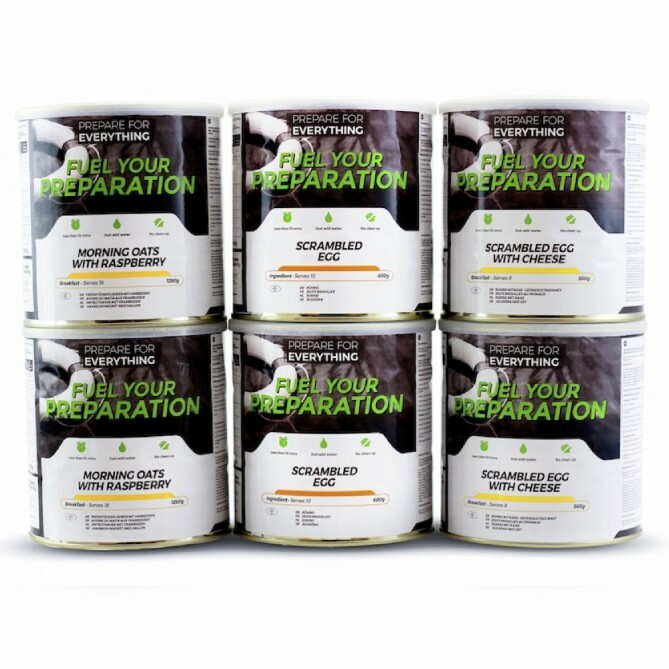 EFS has worked closely with the Fuel Your Preparation range to bring you these fantastic meals. Fuel Your Preparation is cooked and tinned in the UK by the makers of Mountain House. 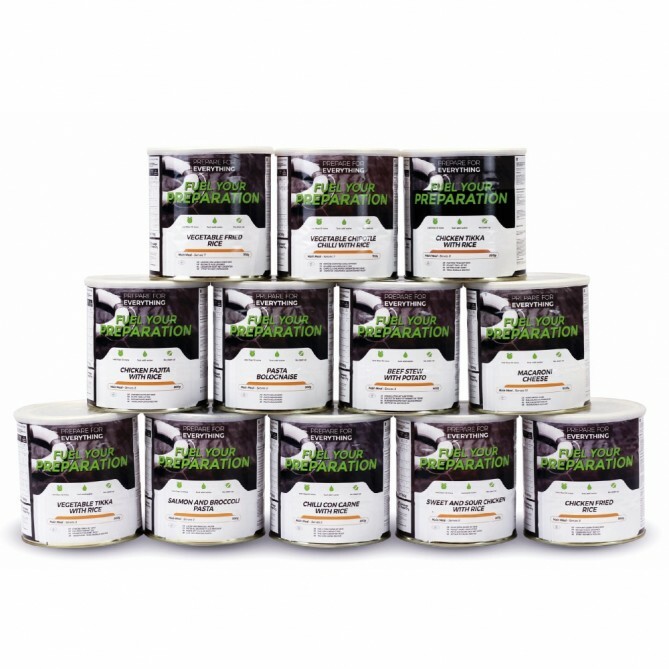 The best processes and freeze dry techniques have been able to create great tasting long life food without compromising on quality or nutrition, engineered with your emergency food storage needs in mind. All Fuel Your Preparation tins will last up to 25 years (and beyond if stored well). They are light in weight and easy to store. We recommend they are stored in a room that does not get too hot or too cold as extreme temperature fluctuations can reduce lifespan. The tins come with loose food inside, so you just scoop out what you need, add water and wait a few minutes then eat. We recommend about 100G of freeze dried food to make a good sized meal once rehydrated. This sample emergency food pack comes in a box approx 30cmcmL x 20cmW x 20cmH cm and is around 2kg in weight. How it's packed.